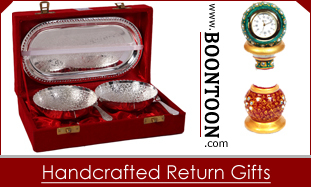 Corporate gifts enhance brand image and create goodwill. Corporate gifts are essential to make the company product noticeable and to give others a reason to remember you. Presenting corporate gifts is a clever way to thank employees and clients. Distributing corporate gifts to employees – strengthens the bond and maintains a friendly environment in the office. Likewise, presenting gifts to clients – represents goodwill; grow company sales and give clients a good reason to remember you. End of the year should be celebrated with giving tempting cookies & items which the employees can use in next year also. Celebrate the most auspicious Indian occasion like Diwali, Holi etc.. with enlightening the clients and employees home with colourful diyas, wood and home decor articles. Good things come in small packages and holidays too. Everyone indulges during the holiday season, so offer something that is useful and worth. Annual day is your day. So, take the full advantage by distributing your own products with a logo or name imprint on them. Reward your employees with fabulous thank you gifts that speak to you.